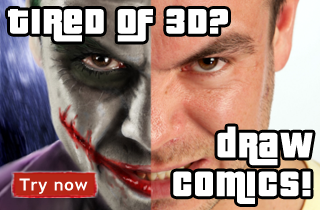 In this article I would like to talk a little about game models, optimization (model&uv) and LOD (Level of Detail) models creation. -Good References- plan in advance your work, either by creating sketches or researching for references. All of those questions&answers help determine the level of detail that a model needs to be built from, or certain area of a model. Which is first step in optimization of a model, there is no need for creating a extremly detailed wind mill standing far far away in the background of a level or a supersmooth pumpkin. New technologies, like normal maps help in adding details but still a good optimized model is a solid base. 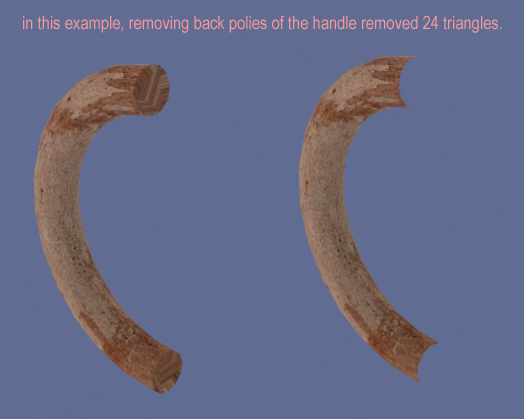 -always remove polygons that are exacly (can’t be noticed from any angle/direction) facing other polygons. -remove the polygons that can’t be seen by player in the game (like a background objects rear side). -reduce polycount on places that are seen rarely, put more detail on texture instead of model in this kind of spots. -do not do too round objects if it isn’t necesary, it’s key to keep in mind size of object and it’s importance. example: If You create a coffee mug from a 12 sides cylinder it would be really bad if You create handle also from a cylinder with same amount of sides. -do not use chamfer modifier too often, use it only on bigger objects which poly structure isn’t sufficent enough to produce a soft edge with just use of smoothing groups. 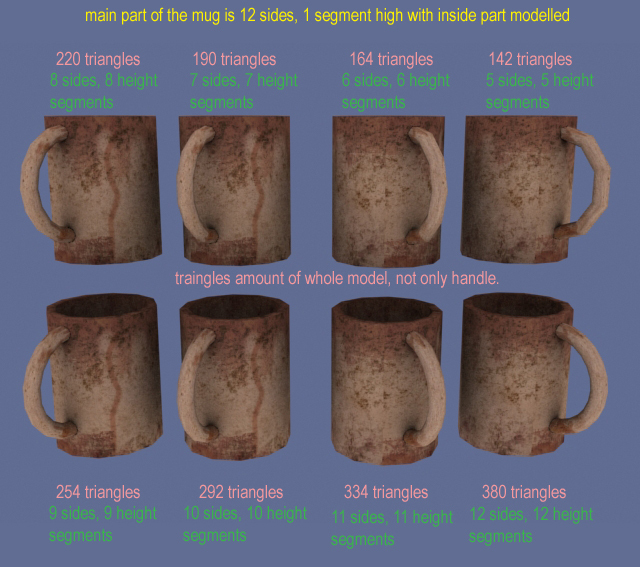 On this picture You can see a comparision of a coffee mug model I did for that tut to show diferences between round objects with diffrent amount of detail. As You can see on the pic, a mug created from 12 sides cylinder as a base, and a 5 side (and 5 segments high) cylinder as a handle (with deleted back polies) have 142 triangles, and a mug made from two 12 side (12 segments) cylinders have 380 triangles. It isn’t very much at all but imagine You have 10 mugs like that in one place, 142x10 = 1420 tris, 380x10 = 3800 tris, this makes a huge diffrence in performance. The diffrence in look isn’t too big at all, if it isn’t satisfacting it’s good to play with bigger amount of detail to a point when it looks nice and isn’t a performance drop-down model.You can also make less sides of cylinder but add more segments so the outline will look more round and it wont add to much polies since there is not much sides of the cylinder. A good, expierienced modeller can judge a polycount at a start (considering all the q&a mentioned at the beggining).